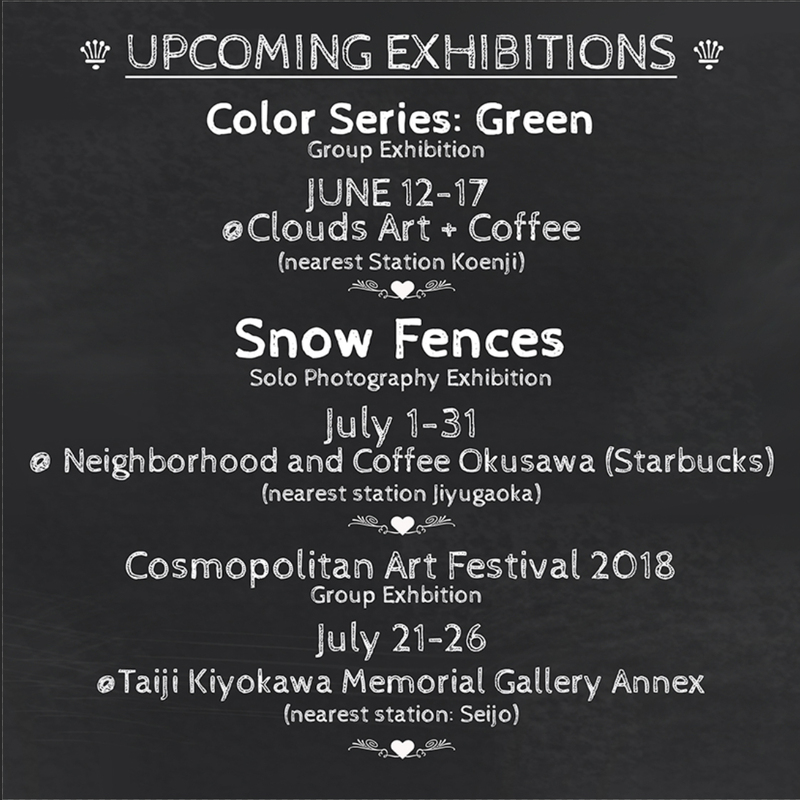 This entry was posted in Canon 5D Mark III, exhibitions, Japan, Photography, Tokyo and tagged Clouds Art Coffe, Cosmopolitan Art Festival, green, Jiyugaoka, Koenji, photography, photography exhibition, Rocky Mountains, Seijo, Snow Fences, Tokyo, Tokyo Art Scene. Bookmark the permalink. I’ve always held on to that and appreciate the advice you gave me. Congratulations! Looking forward to seeing photos of it all. I might even make a video of opening a box of printing paper! It might sound ridiculous but I bought some amazing washi inkjet photo paper from Awagami Paper Factory.